Iran's heritage is as varied as it is complex, and the archaeological, philological, and linguisitc scholarship of the region has not been the focus of a a synoptic study for many decades. 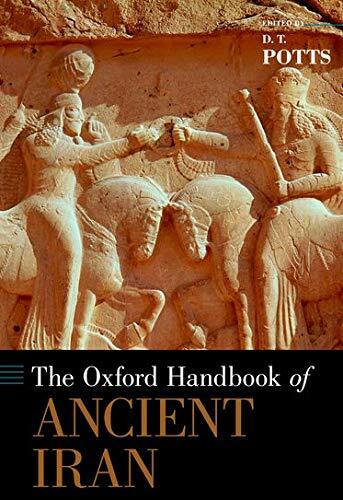 Thus, The Oxford Handbook of Ancient Iran fills a longstanding gap in the literature of the ancient Near East, providing up-to-date, authoritative essays by leading specialists based both inside and outside of Iran on a wide range of topics extending from the earliest Paleolithic settlements in the Pleistocene era to the Islamic conquest in the 7th century AD. The volume is divided into sections covering prehstory, the Chalcolithic, the Bronze Age, the Iron Age, the Achaemenid period, the Seleucid and Arsacid periods, and the Sasanian period, concluding with the Arab conquest of Iran. In addition, more specialized chapters are included that treat numismatics (Elymaean, Arsacid, Persid and Sasanian), religion (the Avesta and Zoroastrianism), languages (proto-Elamite, Elamite, Akkadian, Old Persian, Greek, Aramaic, Parthian and Middle Persian), political ideology, calendrics, textiles, administrative seals and sealing, Sasanian silver and reliefs, and political relations with Rome and Byzantium. No other single volume covers as much of Iran's archaeology and history with the same degree of authority. This work will be of vast interest to a wide range of students and scholars, from archaeologists and art historians to philologists, Classicists, ancient historians, religious historians, and numismatists.